A mere 375,000 rubles buys a fair amount of publicity in Russia; just be sure to proofread the product. This Christmas season one Russian charity hoped to encourage readers to live good lives, but instead they published a brochure that encouraged beaver genocide. Beavers are particularly vulnerable rodents. They are quite gentle, and even Talking Beavers are poorly equipped to defend themselves. Some errors are especially heinous. C.S. Lewis recognized the importance of proofreading. He was sometimes the victim of inadequate editorial review. So it comes as no surprise that he preferred to see galleys (the uncorrected typeset proofs) of his work before actual publication. The following reference from a letter in which Lewis attributes the need for such as due to his own poor penmanship, rather than the carelessness of others. This is typical of his generosity, since part of the duties of editors (and pharmacists, for that matter) is to be able to decipher the scribblings of authors (and physicians). Mark Twain did not share Lewis’ grace in this matter. When his friend Dorothy Sayers died in 1958, Lewis was unable to attend the funeral in London. He was, however, honored to write a panegyric for the service, which was read by one of the bishops in attendance. Following the event, Sayer’s son, Anthony Fleming thanked Lewis and asked if he might include the eulogy in possible collection. Thank you for your most kind letter. I am relieved to find that the little speech has pleased those whose approval at such a time matters most—it is so easy to go wrong in a thing of that kind and so to give offence. I am perfectly willing that it should be printed, but please ask whoever sees to it to be sure and let me see a proof. Even if printers made no mistakes, my villainous writing nearly always leads to some. Lewis, of course, was referring to a literal manuscript, a document written by hand. One assumes that the Russian publisher was given a typescript, so they could not use “villainous writing” as an excuse for their error. Still, I suspect they were given the text in one language, English perhaps, and asked to translate it for publication. In that case, who actually is responsible for the mistake? I choose not to worry about attributing liability in this matter. I’m content to use this winter mistake to remind me of the importance of proofreading. Oh, and on behalf of all of the beavers in Russia, I am relieved to know they will not be distributing these murderous words. My wife and I love that phrase, and we often recall it when we encounter particularly over-strained (or “broken”) grammar. When I encountered it as the title of a book, I was unaware of its original source. Lardner was a well regarded humorist who considered himself a sports writer. One of his satires was entitled The Young Immigrunts. It was a parody of a popular English book, The Young Visitors, which was allegedly written by a young girl. The Young Immigrunts is fictitiously ascribed to Lardner’s son, Ringgold Wilmer Lardner, Jr. His son was only four, at the time. Later he would become a successful screenwriter, winning an Academy Award for the film M*A*S*H. He also wrote prolifically for the television series. Perhaps Lardner Junior is best remembered as one of the Communist writers blacklisted in Hollywood. But we need not go into that, since his father was merely using his young son as a surrogate author for the work. The book takes the form of the ramblings of a child, and its quaintness will appeal to many readers. You can download a copy of it here. It’s not my own preferred genre, so I won’t be reading it in its entirety, but in small doses, I find it rather entertaining. A little later who should come out on the porch and set themselfs ner us but the bride and glum [pictured above]. Oh I said to myself I hope they will talk so as I can hear them as I have always wandered what newlyweds talk about on their way to Niagara Falls and soon my wishs was realized. Some night said the young glum are you warm enough. I am perfectly comfertible replid the fare bride tho her looks belid her words what time do we arrive in Buffalo. 9 oclock said the lordly glum are you warm enough. I am perfectly comfertible replid the fare bride what time do we arive in Buffalo. 9 oclock said the lordly glum I am afrade it is too cold for you out here. Well maybe it is replid the fare bride and without farther adieu they went in the spacius parlers. I wander will he be arsking her 8 years from now is she warm enough said my mother with a faint grimace. The weather may change before then replid my father. Are you warm enough said my father after a slite pause. No was my mothers catchy reply. And now the phrase that always makes me smile. I am curious as to whether or not C.S. Lewis was acquainted with Lardner’s work. It doesn’t quite conform to his literary tastes, but Lewis was so widely read that I think it’s possible he was at least acquainted with who he was. My research on the matter did produce an interesting juxtaposition between the two authors. I discovered it in a book by Sherwood Wirt, perhaps the last reporter to interview C.S. Lewis (for Decision magazine, of which he was editor). I was privileged to know “Woody,” so I enjoyed finding that he mentioned both men in his book I Don’t Know what Old is, But Old is Older than Me. With twentieth century fiction we have to be quite selective. In limiting my comments to the American scene, I will pass by many of the great names of fiction — Henry James, Stephen Crane, Edith Wharton, Jack London, Theodore Dreiser, Ring Lardner, William Faulkner, Sherwood Anderson, Sinclair Lewis, Scott Fitzgerald, Ernest Hemingway, James Baldwin, John Steinbeck, Vladimir Nabokov, Norman Mailer, and Truman Capote. While most of these are excellent writers, I doubt whether they have much to say to today’s older readers that would make life more pleasant, more interesting, or more fruitful in the closing stretches of life’s journey. Nor do I think that these authors have anything worthwhile to say about what lies beyond death. We might better spend our reading hours riding off into the sunset with Louis L’Amour or Zane Grey, rather than punish ourselves with a ghastly tale like In Cold Blood. We old boys and girls have been around a long time. We know what the world is like. We know sleaze when we see it, and we don’t need contemporary authors to embellish it or explain it to us. The reading tastes of the American public have been corrupted almost beyond redemption by blasphemy, vulgarity, and scatology, all for the sake of increased book sales to prurient minds. There are, however, many twentieth-century American novels worth reading, such as Margaret Mitchell’s Gone With the Wind, Thornton Wilder’s The Bridge of San Luis Rey, Harper Lee’s To Kill a Mockingbird, Tom Clancy’s The Hunt for Red October, the Savannah quartet of Eugenia Price, and the Sebastian series of James L. Johnson, to name only a few. Earlier in the century the Christian novels of Lloyd C. Douglas—The Magnificent Obsession, The Robe, and The Big Fisherman—inspired thousands of readers young and old, but no American has since matched his popular appeal. The demand for detective fiction continues unabated, and no one needs my advice to read Agatha Christie. I would, therefore, limit my remarks to a reference to two British creations, G.K. Chesterton’s Father Brown and Dorothy Sayers’ Lord Peter Wimsey, since both are written from Christian backgrounds. 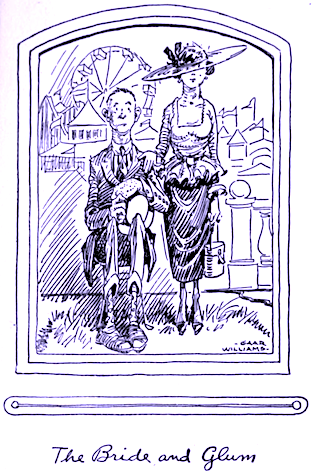 My two favorite Wimsey stories are Busman’s Honeymoon and The Nine Tailors. In contrast there is a wealth of devotional literature that makes wonderful reading for older people. One can start with the sermons of D.L. Moody, Charles Spurgeon, Samuel P. Jones, Joseph Parker, and T. DeWitt Talmage of the nineteenth century. The early twentieth century gave us Andrew Murray, Ole Hallesby, P.T. Forsyth, and Oswald Chambers, whose writings are hard to surpass. Amy Carmichael’s poetry and prose written in India, have blessed millions of readers. More contemporary are the writings of C.S. Lewis and A.W. Tozer, which carry seeds of greatness. The passage above comes from the book’s chapter on “Reading.” If you would like to see more, the entire book (although published as recently as 1992) is legally available for your review online. “Shut up he explained” may not be proper English, but literature doesn’t need to be proper to be entertaining. And even though Lardner is no longer a familiar name, perhaps his writings are worth visiting. For the moment, knowing the context of this delightful phrase makes the words all the more entertaining to me. After all, like many others, my dad often “explained” the same thing to me! Those of us who admire C.S. Lewis respect his words on many subjects, not least of which would include literary matters. He was, after all, both a gifted writer and a professor teaching related subjects at two of the world’s most prestigious universities. 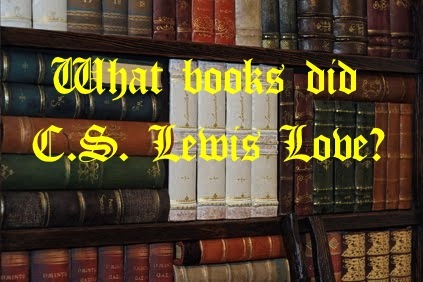 During his interview, Wirt focused on spiritual rather than professional benefits from books Lewis had found beneficial. Sherwood Wirt: What Christian writers have helped you? C.S. Lewis: The contemporary book that has helped me the most is Chesterton’s The Everlasting Man. Others are Edwyn Bevan’s book, Symbolism and Belief, and Rudolf Otto’s The Idea of the Holy, and the plays of Dorothy Sayers. Fortunately all of these titles are readily available for those who would like to explore works that influenced Lewis’ conversion and Christian growth. Let’s briefly consider them in the order Lewis cited them. Gilbert Keith Chesterton (1874-1936) was a prolific English writer. Just how prolific, one might ask. Well, he wrote approximately eighty books, hundreds of poems, hundreds of short stories and about 4,000 essays. His works continue to inspire many today, and merit contemporary reading. The Everlasting Man was published in 1925 and ponders the universal significance of Jesus Christ. It was composed in reaction to The Outline of History, in which H.G. Wells paints Jesus as just one more political agitator in a political backwater of the Roman empire. Honestly, he does describe him as being remarkable, but mostly in terms of having a charismatic persona. Lewis said that Chesterton’s Everlasting Man “baptised” his intellect, which is no small expression of praise. You can purchase The Everlasting Man through normal channels or download a free text format version at this site. If you enjoy listening to audiobooks, you can obtain a free audio copy of the volume here. Edwyn Robert Bevan (1870-1943) was an English philosopher and historian who specialized in the Hellenistic world. In Symbolism and Belief, based on a series of lectures presented in 1933-34, Bevan discusses major religious symbols and metaphors. He illustrates how figurative language is best capable of describing spiritual truth. He argues that the greater precision offered by philosophical terminology is actually counterproductive in this quest. Symbolism and Belief is available for free download in a variety of formats at this site. Rudolf Otto (1869-1937) was a German Lutheran theologian. He spent most of his ministry teaching at one of the most prominent seminaries in the world, the University of Marburg Divinity School. In The Idea of the Holy Otto espoused the concept that the things of God were “numinous.” He defined this as a “non-rational, non-sensory experience or feeling whose primary and immediate object is outside the self.” The word itself was derived from the Latin numen which refers to divine power. Otto explains how the numinous is a mystery (mysterium) that is simultaneously terrifying (tremendum) and fascinating (fascinans). C.S. Lewis found the notion of the numinous particularly useful in his book, The Problem of Pain. The Idea of the Holy: an Inquiry into the Non-rational Factor in the Idea of the Divine and Its Relation to the Rational is available in multiple formats here. Sayers was an extremely successful English writer. Her versatility allowed her renown to grow as a poet, playwright, essayist and as a writer of popular detective mysteries. She was also a classicist, and regarded her translation of Dante’s Divine Comedy as her finest work. Fortunately, four of her plays are available in a collection available here. They include “The Zeal of Thy House,” “The Devil to Pay,” “He That Should Come,” and “The Just Vengeance.” And, although you can’t download the file, if you would like to stream the recording, an audio version of her famous “The Man Born to be King” is available here.